From getting into fights with other animals to becoming entangled in branches and bushes while exploring the backyard, there are a number of ways in which your pet can end up hurting itself. Often, owners are not even able to determine what caused the wound. It’s heartbreaking to see your little friend writhing in pain or constantly licking and chomping on the injured area due to the irritation and discomfort. Cuts, wounds, scrapes or punctures may lead to more serious problems if left unattended. Broken skin makes your pet more susceptible to a number of health issues, such as infections. Ensuring that your pet leaves the wound alone and lets it heal undisturbed can be quite a task. Now, you can’t really make them understand the importance of keeping that bandage on or not licking away the ointment. As a result, you have to either put the “cone of shame” known as an Elizabethan collar on your pet or always be on the lookout to make sure they’re not making the injury worse. While we can’t stop them from being their curious and playful selves, we can definitely equip ourselves to deal with minor pet wounds in the best possible way. Stop the bleeding (if any). Any cut or puncture that breaks the skin can be a real problem. Tetanus, for instance, can be contracted from any wound and make take up to two weeks for signs to develop. 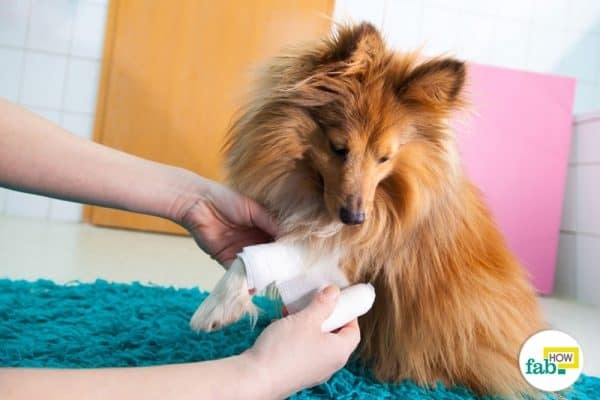 (1) You should rush to a veterinarian in the case of deep cuts and serious wounds, but sometimes minor injuries can be easily taken care of at home. In most cases, the fur will need to be trimmed or cut to avoid contact with the wound and to let the wound dry out. To clean wounds hydrogen peroxide is an excellent choice. Here are also a few home remedies that work wonders in treating minor wounds in pets. Manuka honey is very effective for treating infections and burns. It contains methylglyoxal (MGO), a toxic substance that helps kill bacteria. It is safe to use on topical wounds. Cleaning the injured area before applying honey is recommended, especially in the case of a hot spot. You may use povidone iodine for this purpose. Tie a light bandage over the affected area. 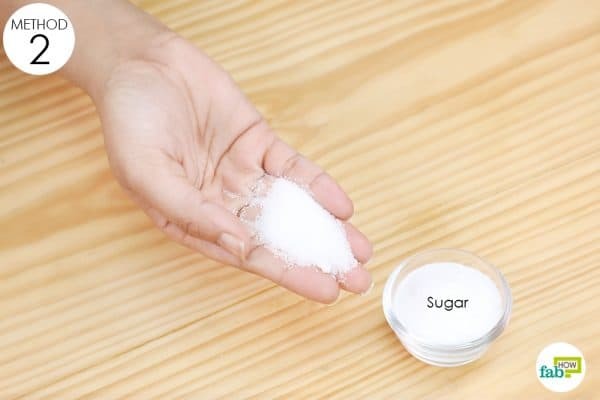 Sugar helps a wound heal faster by drawing the fluid out and curbing bacterial growth. It also helps in the debridement of necrotic tissue and preserving viable tissue. The hyperosmolarity in sugar not only prevents bacterial proliferation. It also aids in fighting existing infections. Place granulated sugar in the wound cavity. Cover it with a thick dressing. Change the dressing at least once a day. Thoroughly rinse the wound with warm saline water or tap water during the bandage change. 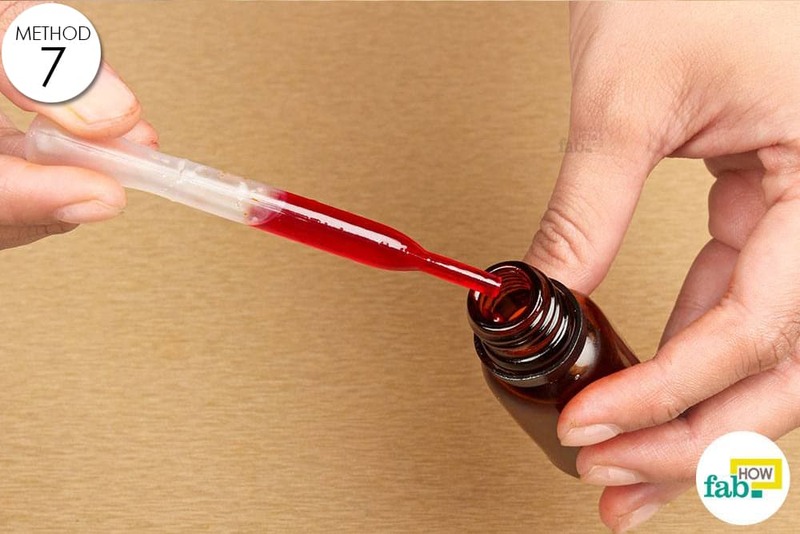 Continue using this remedy until you see granulation tissue, which is a reddish connective tissue that forms on the surface of a wound as it heals. Close the wound or let new skin growth seal it after the infection is gone. Saline water is antibacterial as well as anti-inflammatory. It is a mild disinfectant and helps clear contamination out of your pet's minor wound. When sodium chloride (the chemical that salt is made of) comes in contact with cells, it forces the liquid in them to move out of the body. Bacterial liquids are also pushed out, leaving the skin clean. 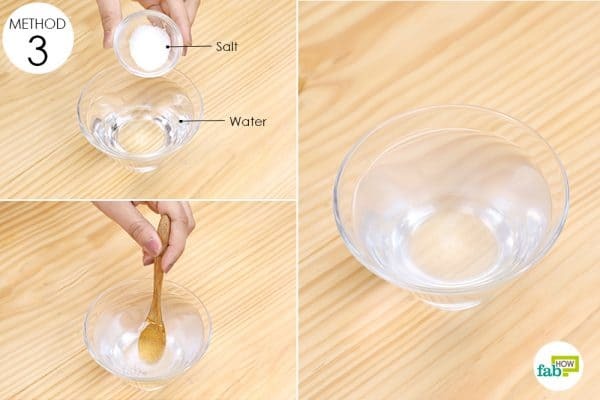 Boil 1 cup of water mixed with 1/2 teaspoon of salt. Dip gauze into the solution and gently clean around the edges of the wound. Use a syringe to gently flush saline water over the injured area. This magical plant helps heal burns, alleviate pain and reduce inflammation. It accelerates the healing of soft tissue wounds and helps in the regeneration of skin cells. This remedy is great for your pet’s skin. In dogs, it is also used to treat dermatitis and issues affecting their foot pads. Note: It is not recommended to use aloe vera gel on deep or infected wounds or serious burn injuries. Apply a layer of aloe gel over the wound. Let the aloe gel stay on the wound as long as possible. Repeat this remedy 1 or 2 times daily for best results. 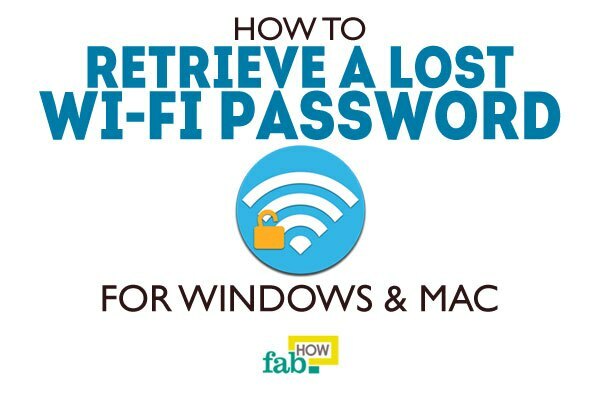 Pet owners all over the world vouch for this highly effective solution. It works for all kinds of pets, be it dogs, cats, hamsters, birds or even reptiles! 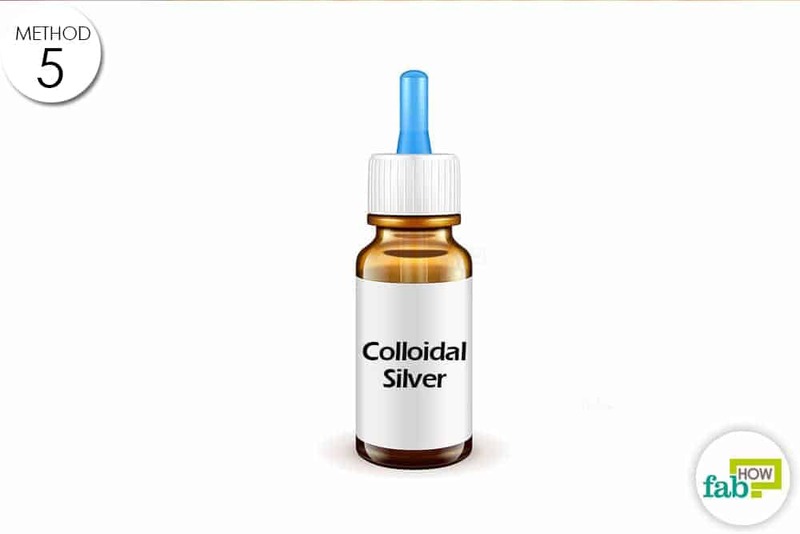 Colloidal silver can be used in the treatment of infections and diseases. (6) It is also a very effective home disinfectant and sanitizer and can be used as a preventive measure if avoiding contact with sick pets is not an option. Colloidal silver is available in the form of sprays and drops and can be used to clean wounds and cure skin conditions. This inexpensive remedy for treating minor injuries in pets will promote rapid healing, kill microbes, reduce inflammation and more. Gently spray colloidal silver on wounds and cuts about 4 or 5 times a day. If the wound needs to be covered, soak gauze bandages in colloidal silver and apply it over the affected area. The bandage should be changed 2 or 3 times a day. Apple cider vinegar is widely used as a home remedy for treating minor pet injuries and infections. This self-care product is antiseptic, antifungal and antibacterial in nature. In fact, apple cider vinegar is a very useful solution for various pet-related issues. Other than treating wounds, it is used for improving heart health and accelerating weight loss. For dogs, it can act as a tick and flea repellent, cure itchy skin and ease joint pain. In cats, a diluted form of apple cider vinegar can be used topically to kill fleas, ringworm, and mites. It also helps clean your cat’s skin and remove allergens. There are a number of ways in which apple cider vinegar can be used to help you take better care of your furry friend. It can be applied topically on lumps and bumps, or mixed into your pet’s bathwater. You may also add a splash of apple cider vinegar to your pet’s food. Mix equal amounts of apple cider vinegar and water. Dip a cotton ball in this solution and dab it on the affected area. Repeat this remedy daily until you see improvement. 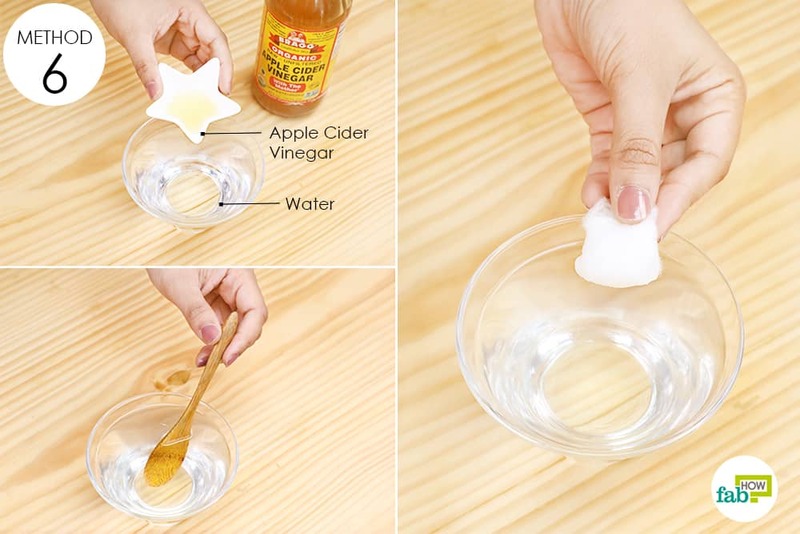 Apple cider vinegar can sting when applied to broken skin or sores. For that reason, it’s best not to use this remedy on extremely raw skin or open wounds. Betadine is an integral part of your pet’s first aid kit. Make sure you never run out of it! Wash the wound by running warm water over it for about 1 to 2 minutes. You can also use an antibacterial soap to gently scrub the area. Use a clean gauze pad or a paper towel to gently dry the affected area after washing it. Rinse the wound with iodine to disinfect it. Apply an antibiotic cream on the wound. After an accident, your pet’s behavior may become unpredictable due to pain and fear. It may seem overexcited or distrustful, refusing to allow you to come anywhere near it. Keep your safety in mind and handle the injured animal very carefully. If your pet has a history of biting, muzzle it. Gentle petting and speaking in a low, calm voice may help soothe your pet after an injury. Examine the wound gently. Stop at once if you notice your pet is becoming agitated. Never give your pet medications without consulting a vet. Bush, LM, Vazquez-Pertejo MT. Tetanus - Infectious Diseases. Merck Manuals Professional Edition. https://www.merckmanuals.com/professional/infectious-diseases/anaerobic-bacteria/tetanus. Published January 2018. Murandu, Donald M. An investigation of granulated sugar dressing in the management of sloughy, necrotic and infected exuding wounds. eTheses Repository. http://etheses.bham.ac.uk/5793/. Published July 1, 2015. Accessed January 8, 2019. Towler J. Cleansing traumatic wounds with swabs, water or saline. British Journal of Nursing. https://www.magonlinelibrary.com/doi/abs/10.12968/jowc.2001.10.6.26087. Published September 29, 2013. Foster M. Evaluation of the Nutritional and Metabolic Effects of Aloe vera. Herbal Medicine: Biomolecular and Clinical Aspects. 2nd edition. https://www.ncbi.nlm.nih.gov/books/NBK92765/. Published January 1, 1970. Paulson DS, Topp R, Boykin RE, Schultz G, Yang Q. Efficacy and safety of a novel skin cleansing formulation versus chlorhexidine gluconate. American Journal of Infection Control. https://www.ncbi.nlm.nih.gov/pubmed/29884580. Published November 2018. Vermeulen H. Benefit and harm of iodine in wound care: a systematic review. Database of Abstracts of Reviews of Effects (DARE): Quality-assessed Reviews. https://www.ncbi.nlm.nih.gov/books/NBK80212/. Published January 1, 1970.